If you’d like to support us as a sponsor, please click here to contact us for more information. Andy Bilhorn is a practice leader at Slalom Consulting, specifically designing human capital solutions for C-Suite Executives. Prior to consulting, he served with InterVarsity Christian Fellowship at Northwestern University where he utilized programs immersing student leaders in poverty to translate to leadership development experiences on campus. Prior to consulting and vocational ministry, he designed and built laboratories for pharmaceutical companies as an engineer and designed an academic campus in sub-Saharan Africa. He received his MBA at Kellogg School of Management and mentors young professionals and is pursuing a certificate in spiritual direction. Brian Chan founded Liferay in 2000 to provide non-profit organizations with an open source solution to facilitate collaboration on the Internet. As Liferay’s Chief Software Architect, he is a sought after speaker at major industry events such as JavaOne, JAX Asia and Europe. With 800+ employees across 20+ offices around the world, Liferay never took a dime of venture capital in becoming a worldwide leader in innovative open source enterprise solutions. Brian holds a dual B.S. degree in Economics and Computer Science from the University of Chicago. Pui C. was born in Asia but grew up in California. He earned his undergraduate degree from Stanford University where he double majored in Economics and International Relations. He subsequently received a JD from NYU Law and began his career practicing commercial litigation in New York, first with Shearman & Sterling LLP and later with Simpson, Thacher and Bartlett LLP. In 2006, he returned to Asia and worked with his family in managing personal investments both in the private and public markets. In conjunction with this role, he has advised and sat on many boards of both start-ups and mature companies in diverse industries. 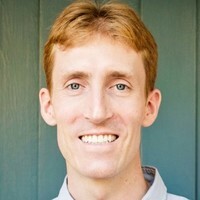 Calvin C. Calvin C. is currently director of strategic marketing at a digital health startup in the Silicon Valley. A college mission trip to Central Asia opened his eyes to the possibility of business as a means of outreach and relationship building. After beginning his career as a management consultant at Bain &amp; Company, Calvin joined REDF, a US venture philanthropy fund that invests in and grows domestic social enterprises. Later in graduate school he discovered a passion for medical technology. Calvin received his AB in Economics from Harvard University and MBA from UC Berkeley Haas School of Business. Matt C. works in supply chain analytics at a Fortune 100 company. He developed a passion for workplace ministry during his 8 years serving in Asia as a market-entry consultant and an operations manager for a U.S. Fortune 500 company. Matt has won first place in an international business competition, and holds a B.A. in Economics from UC San Diego as well as a MBA from Kellogg School of Management at Northwestern University. Art Holton Art is president of SFA Strategies. He has many years of management consulting experience working in diverse industries ranging from banking, finance, securities, insurance & government to pharmaceutical, technology & telecommunications. Tom Johnson is founder and current Director of Strategic Development at BCS Call Processing, one of Inc 5000 fastest growing companies in 2018. Tom has a long career in the computer networking industry and served as the president of Business Computers & Service, Inc. for over 20 years. With degrees in Electrical Engineering and Education, Tom taught classes in both public school and at the college level: business planning for entrepreneurs, marketing and financial modeling are topics of his greatest passion. He has served as a judge for the GLS Business Case Competition since its inception in 2017. Gideon L. is currently the Greater China VP of Marketing & Strategy for a European public company. He previously worked for McKinsey consulting and other American Fortune 500 companies. GL studied International Business and Music as an undergraduate at Stanford and later received his MBA from Harvard Business School. Karen L. is currently an advisor for investment and philanthropy projects. She is a founding board member and former managing director of a social enterprise based in Shanghai, which encourages, supports and advises individuals, families, businesses and foundations to give effectively to Chinese charities and nonprofit projects. She was previously executive director of a Chinese private equity investment firm and vice president of strategy and business development for a green building technology company in China. Karen holds a BS degree from the Wharton School of the University of Pennsylvania and a MBA degree from the Yale School of Management. Brian Ng serves as Director of Finance and Senior Director of City and Global Ministries for Holy Trinity Church in Chicago. He also serves as Associate Director of Economic Development for Together Chicago, a collaborative Christian non-profit focused on holistic community transformation. He received his M. Div. recently from Trinity Evangelical Divinity School and has been interested in work and faith integration, stewardship and social entrepreneurship. Prior to seminary, he worked in finance and investments for 12 years in Chicago, New York and Hong Kong. He has a BS in Finance from NYU’s Stern School of Business and a MBA from University of Chicago’s Booth School of Business. Leigh-Anne Walker is currently an Adjunct Professor at the NYU Stern School of Business. She is also the founder of a small business, EthicsUS, which provides professional training on ethics, compliance and values-congruent conflict resolutions to corporations. Professor Walker has significant experience as a senior executive in the financial services industry, with particular expertise in business leadership, CFO-level financial management, process improvement, joint venture management, and strategic planning. Her work at Fortune 100 companies (JPMorgan Chase, Citigroup, American Express, Bell Laboratories) has included a number of challenging roles that have caused her to wrestle with a variety of ethical dilemmas, including responsibilities as CFO and later CEO of business units at JPMorgan Chase. Professor Walker received her B.A. in Psychology from Dartmouth College, her M.B.A. from the Amos Tuck School of Business Administration with a concentration in Finance, and her M.A.R. from Yale Divinity School with a concentration in Ethics. L. Z. is General Manager for the China division of a US Fortune 500 company. He has previous work experience in engineering, strategy consulting, product management, commercial operations and new product innovation in telecommunications and consumer electronic industry. LZ holds a bachelor's degree in Computer Engineering from Boston University and a MBA from MIT Sloan School of Management. Prof. John Mulford of Regent University -- Dr. John Mulford is Director of the Regent University Center for Entrepreneurship (RCE) and Professor in the School of Business and Leadership. John has trained, consulted, and lectured on business and economic development with groups of business, education and government leaders in many countries, including Rwanda, Zambia, Burundi, Cameroon, South Africa, Guatemala, Bolivia, Mexico, Spain, Morocco, Indonesia and Ukraine. He has been active researching and furthering Business as Mission movement, serving on boards of FCCI, C12, NPIM, and launching seven business development centers in Africa & India. 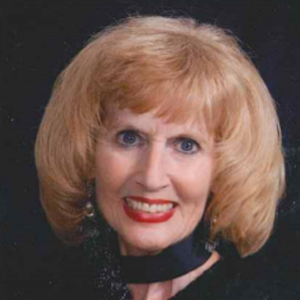 Prof. Marlene Reed of Baylor University -- Marlene M. Reed, DBA, is presently Entrepreneur-in- Residence at the Hankamer School of Business at Baylor University and Professor Emeritus at Samford University. She has published over 80 articles and cases in academic journals and textbooks, received the Award as Alabama Professor of the year from the Carnegie Foundation in 1995, and was twice honored with the Outstanding Teacher Award and Outstanding Professor Award at Baylor. She is Past President of North American Case Research Association and the Southwest Case Research Association. And has taught internationally throughout Europe. She is active in her church and teaches a couples Bible Study class on Sunday mornings. Brian Chan* - see First Round Judges. Albert M. (Al) Erisman is Executive-in-Residence emeritus at the School of Business, Government, and Economics (SBGE) at Seattle Pacific University (SPU). Between 2001 and 2017 he taught graduate and undergraduate courses at SPU while working with the Center for Integrity in Business. 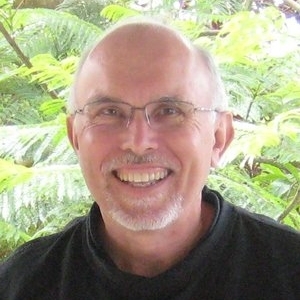 Currently, he is writing books; the executive editor of Ethix magazine, where he has interviewed more than 100 world leaders on the topics of business, ethics, and technology; a founding board member of KIROS (Christians in business for the Seattle area); and co-chair of the Theology of Work Project. In 2001 Al completed a 32-year career at The Boeing Company, the last 10 years as Director of R&D for computing and mathematics. There he led a staff of 250-300 scientists as a part of the Boeing central research organization. He was a Senior Technical Fellow of the Company, and on numerous committees for technology and mathematics. He was also on technology review committees for Los Alamos National Labs and Carnegie Mellon University. A.K. is an MD from Peking University and MPH from Harvard, A.K. brings global health and health technology perspectives from both the East and the West. She is currently the Co-Founder & CEO of PSI, building an AI-assisted online therapy system that enables more effective rehab, starting with communication rehab for developmentally delayed children. In the past two years, PSI have served young families and organizations in 11 cities across greater China area. Prior to PSI, Amy built and launched healthcare decision apps used by over 30 thousand healthcare workers and families in India and Tanzania. Other prior positions include working as physician at Peking University Third Hospital, specialist researcher at The George Institute, and one of the earliest clinical product designers at Wellframe. Janeen Uzzell is the new COO of WikiMedia Foundation. Before her move, Janeen is a 14-year veteran of GE. Janeen has held roles across the Healthcare, Corporate, GGO and Global Research divisions including Head of Women in Technology, the Operations Manager, External Affairs, Director of Healthcare Programs for GE in Africa, and Director of Healthymagination. Among her many achievements, Janeen executed public private partnerships across Sub-Saharan Africa, India, Bangladesh, Indonesia, and Saudi Arabia delivering healthcare solutions contributing to Africa incremental revenue growth from $1B to $4B. She led Diversity & Inclusion culture shift impacting recruitment, retention, and promotion for the companywide female technical workforce. Janeen received a bachelor’s degree in Mechanical Engineering from North Carolina A&T State University and an MBA in International Business from Fairleigh Dickinson University. 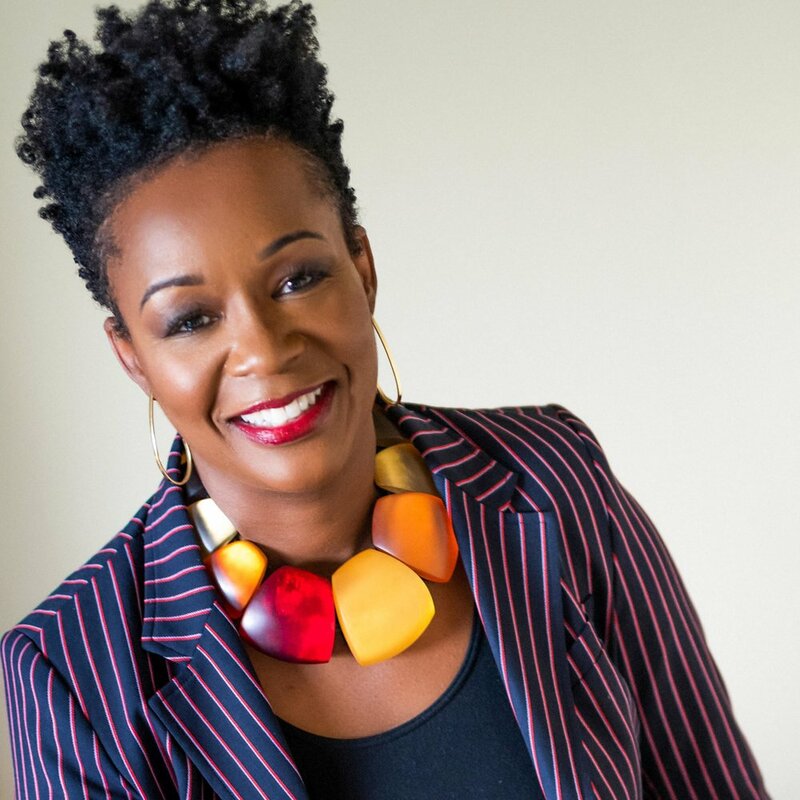 She is the President & Founder of The H.O.P.E Mission and a Board Member of the International Black Women’s Public Policy Institute, was awarded the GE ICON Leadership Award in 2014, and was featured in blackengineer.com in 2016 for her impact across her roles in healthcare and technology. Jordan Winder attends Redeemer Presbyterian Church West Side with his lovely wife, Ruiwen, and newborn, Jed. He spent most his career in middle market investment banking doing private placements of debt and equity as well as M&A across a variety of industries and geographies. He is currently working on a startup that aims to reduce frictions in the private capital markets, helping professionals build their career, organizations operate more efficiently, and both do more deals - all to improve access to capital and advisory services such that needs are met with the best resources. He hails from California and currently splits time between New York and Singapore. Special thanks to our advisors Prof. Marlene Reed of Baylor and Prof. Paul Lee of Wheaton who contributed to the case write-up and appendix. If you’re interested in being a team advisor/coach please click here to contact us for more information.